Payday loans are a controversial topic, with many critics accusing payday lenders of charging unreasonably high interest rates and putting debtors in a potential debt trap. 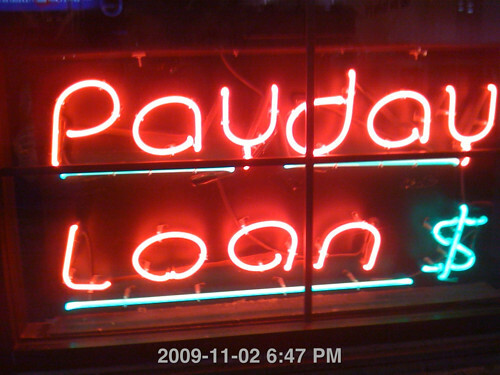 Media and news outlets also like to paint payday lenders as loan sharks that trick hardworking people with their suave. On the surface, the arguments seem to make sense; payday lenders do charge a higher interest rate than the average bank. Upon closer inspection however, many of these criticisms can easily be challenged. In this article, we will be looking at two of the major criticisms raised regarding these loans and address them one by one. Let’s address the biggest criticism first; payday loans charge a substantially higher interest rate than conventional loans. The statement is actually true, as the average APR on a payday loan is an unrealistic 400%! In comparison, the APR on credit cards tends to be around 15% depending on the region, almost 25 times less. While the numbers are accurate, critics fail to take into account a few major points. For one, they forget that the credit card loans are securitized i.e. they have a collateral backing them up. The interest rate for a loan is calculated by taking several risks into account, including the interest rate risk (the possibility of interest rates increasing during the borrowing period), inflation risk (the probability of the value of money decreasing by the time the principle amount is returned) and the default risk (the probability of a debtor defaulting on his loans). While several other risks are involved as well, we will only be examining the default risk for the purposes of our argument. Most payday borrowers tend to have a bad credit history or insufficient collateral. This automatically makes the loan much riskier for the lender as there’s a much higher probability that the debtor might default. If he does, there’s no collateral that can be accessed except for a post-dated cheque that may bounce. Due to the higher risks involved, creditors have to have an added incentive to give out loans. The higher returns on interest serve that purpose. Critics also fail to take into account the higher processing costs involved with payday lending. Barring some exceptions such as Wonga, most payday firms are small scale or medium sized. Because of this, the processing costs for loans are much higher due to the lower economies of scale. Bigger financial institutions such as banks have the advantage of enjoying massive economies of scale. Due to their huge integrated networks and stores of internal data, they can easily assess the creditworthiness of borrowers along with other relevant information. They also have a higher number of employees and are more streamlined as compared to payday lenders, allowing them to dissipate the processing costs. Third, the APR calculation that many base their arguments on is flawed. APR is calculated using the compounded interest rate throughout the entire year. The APR on a credit card, for example, is calculated by compounding the daily interest rate of 0.041%, which results in an APR of 15% over 365 days. For a payday loan, the weekly interest rate is around 15% or 15GBP on a loan of a 100. However, credit card loans are meant to be borrowed for a longer term than payday loans, which are meant to be borrowed for a period of 2 weeks on average. If we apply the same interest rate charged by credit cards over a period of 2 weeks, the lender would be receiving a profit of just 0.574GBP on a loan of a 100GBP, which is obviously not enough of an incentive for the high risk involved. Spreading the cost of a short term loan over a longer period has the potential to misconstrue results. Let’s consider the example of a car rental. On average, it costs around 30GBP a day and is meant to be returned the next morning. But by the APR logic, the yearly cost of the car is 10950GBP (not compounded), more than half of the car’s value. But in reality, you’re only paying 30GBP/day for the time you use the car. Payday loans are meant to be used for emergencies and short term periods only. If used properly, these loans aren’t as expensive as people make them out to be. The fact is that most of the problems can be traced to the borrowers, not the lenders. Reports show that a majority of payday borrowers use these loans to cover living expenses over the course of months, resulting in higher collective costs overtime due to compiling previous debts. This is a recipe for disaster as borrowers set themselves up for a debt trap. The second criticism is that there are much better alternatives to payday loans that charge lower interest rates. Yes, there are many such alternatives, but if they are so great, why do people still use payday loans? The truth is that for emergency cash advances, nothing really beat payday loans. While banks and conventional lenders follow a long and cumbersome process to assess a borrower’s creditworthiness, payday lenders can have a loan arranged within the same working day. In fact, many payday lenders don’t really focus on the credit history of a borrower. Thanks to online payday lending services, the process has become even quicker and more convenient. Instead of filling out a bunch of documents and filing them with a bank, online lenders just use a simple online data entry form and a subsequent phone call the very same day. Rather than waiting for an approval from the bank, the amount is transferred to your account within the very next hour. In fact, many online payday lenders in the UK such as Quiddi Compare have specialized loans for immediate cash advance needs. Along with that, they also offer other features such as a low APR and instantaneous transfers.